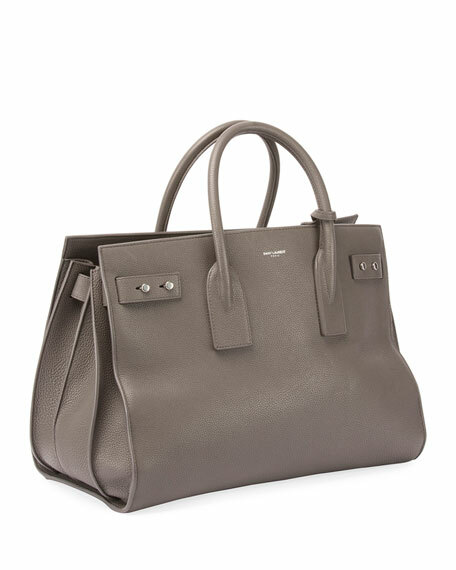 Saint Laurent pebbled leather tote bag with silvertone hardware. Rolled tote handles, 3.7" drop. 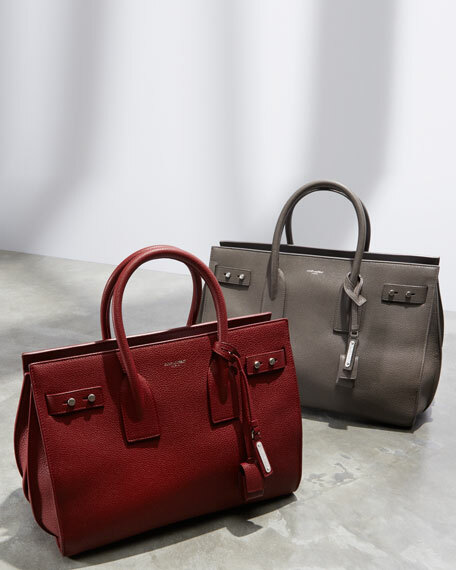 Flat shoulder strap, 17" drop. Exterior, removable hanging covered lock. 10.8"H x 14.4"W x 7.5"D.
For in-store inquiries, use sku #2045830.